Pumas´ Martin Bravo, right, celebrates with teammate Javier Cortes after scoring against Atlas during a Mexican soccer league match in Mexico City. 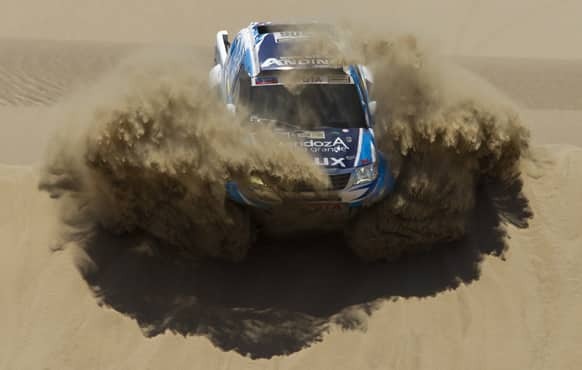 Totoya`s Lucio Alvarez and co-driver Bernardo Graue of Argentina compete in the 1st stage of the 2013 Dakar Rally between Lima Pisco, Peru. 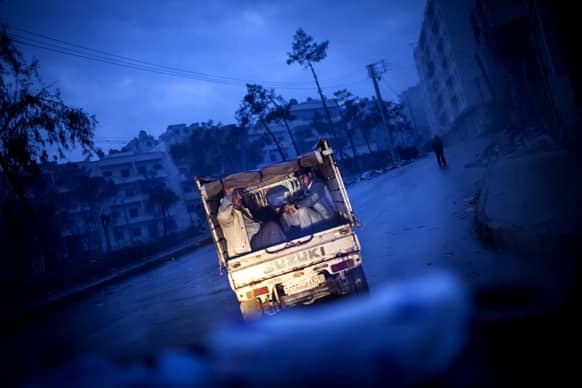 Syrian men leave the old city of Aleppo, Syria. The revolution against Syrian President Bashar Assad that began in March 2011, started with peaceful protests but morphed into a civil war that has killed more than 60,000 people, according to a recent United Nations recent estimate. Russia`s Nadia Petrova reacts to a lost point in her match against Italy`s Roberta Vinci at the Sydney International Tennis tournament. President Barack Obama walks with daughter Malia on the first family`s return from vacationing in Hawaii, on the South Lawn of the White House in Washington. 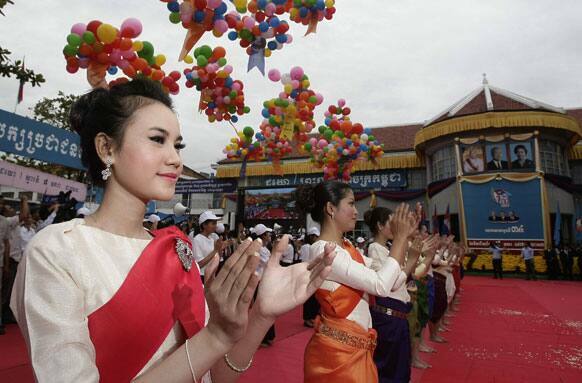 Cambodian dancers perform at Prime Minister Hun Sen`s ruling Cambodian People`s Party headquarters during the 34th celebration marking the 1979 downfall of the Khmer Rouge regime, in Phnom Penh. 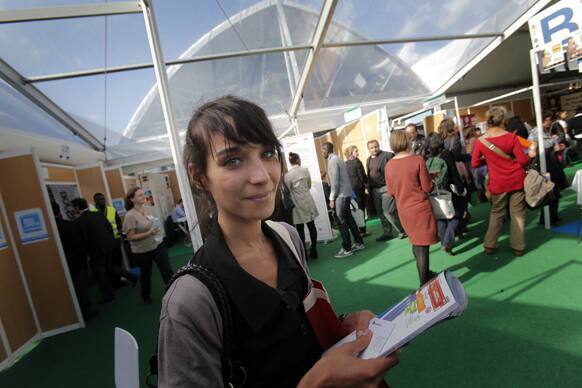 Estelle Borrell, 24, visits a job fair in Paris. Estelle Borrell knew she wanted to work in law since she was a teenager, when she interned at a court in Versailles, France. 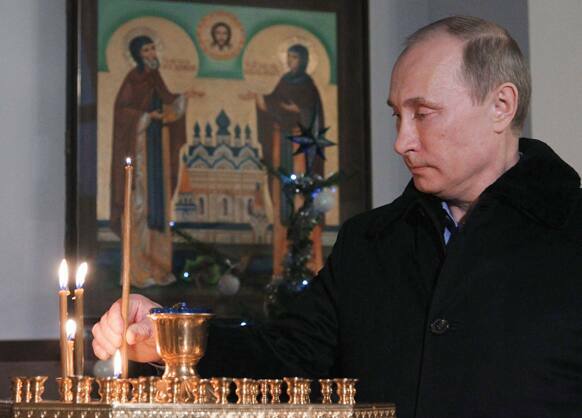 Russian President Vladimir Putin lights a candle as he attends the Christmas service in the Trinity St. George Monastery in Sochi, Russia. 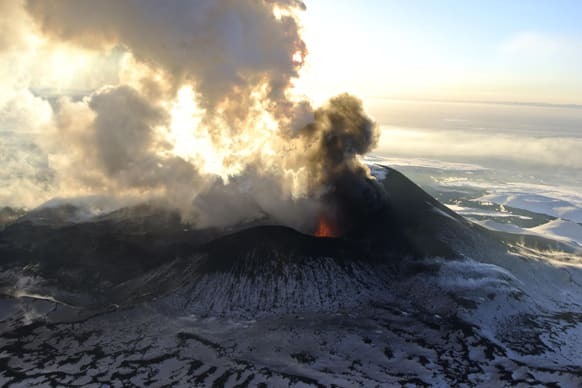 Plosky Tolbachnik volcano erupts in Russia’s Far Eastern Kamchatka Peninsula. A Russian volcano which started erupting last week has continued to spew ash and smoke into the air. 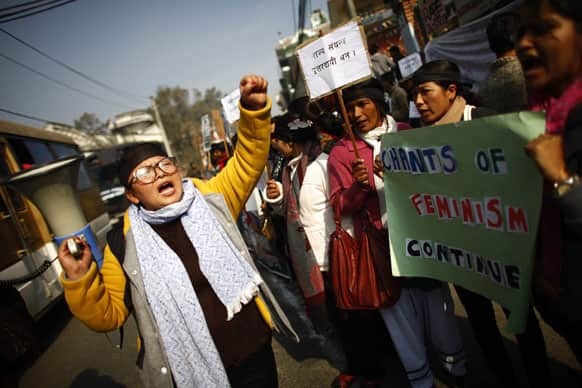 Nepalese women shout slogans outside the residence of Nepal’s Prime Minister Baburam Bhattarai during a protest, in Katmandu. 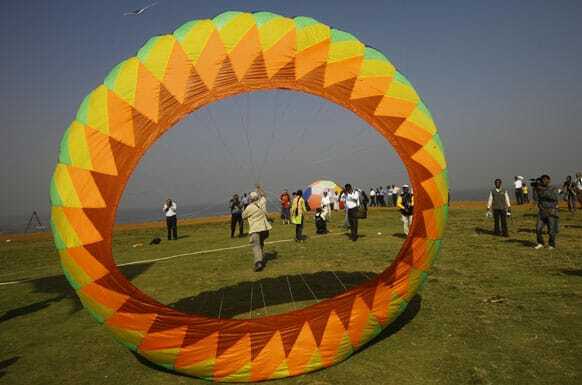 Participants fly a large kite at the International Kite Festival in Mumbai. 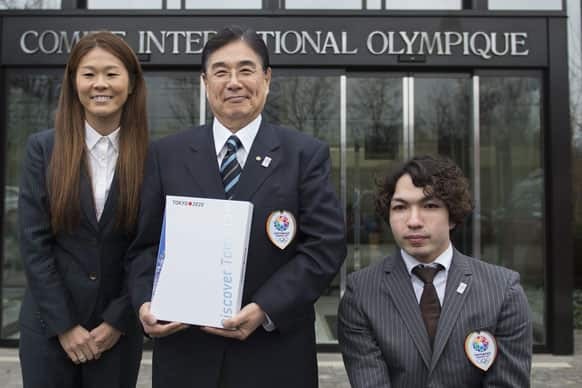 Masato Mizuno, CEO for the Tokyo 2020 Olympic bid, Homare Sawa, four-time Olympian and 2011 FIFA Ballon d`Or winner, Takayuki Suzuki, Paralympic champion in swimming, pose for photographer in front of the IOC headquarter before they submit their candidature bid for 2020 Tokyo Olympic summer games. 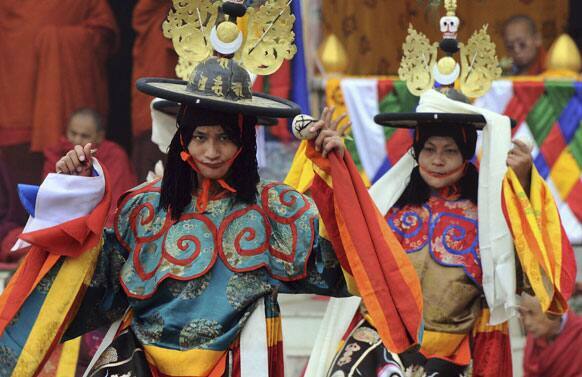 Buddhist monks perform their traditional dance at Bodhgaya Bhutan Monastary in Gaya district. 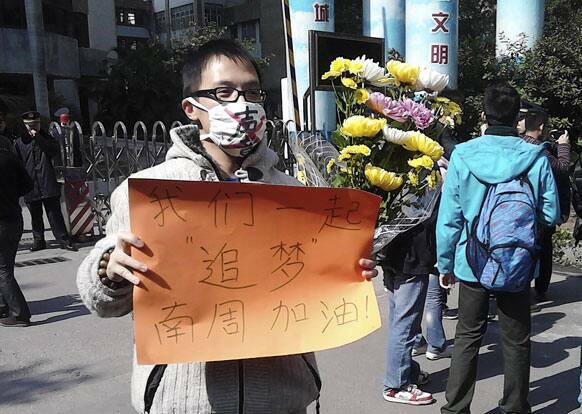 This photo taken and provided by activist Wu Wei, a man wearing a mask with words "Silent" holds a banner reading: "Let`s chase our dreams together, go Southern Weekly newspaper" during a protest outside the headquarters of the newspaper in Guangzhou. 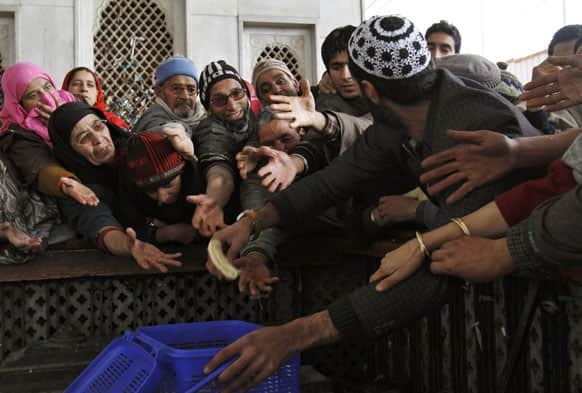 A Kashmiri man distributes bread to other devotees outside the shrine of Sufi saint Hazrat Sheikh Hamza Makhdoom, commonly known as Sultan-Ul-Arifeen, as she offers prayers during the saint`s Urs, or yearly commemoration, in Srinagar. 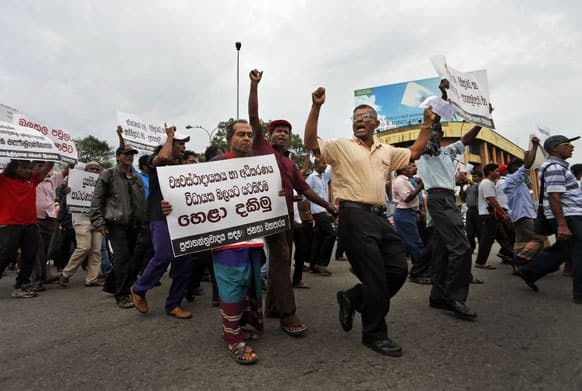 Sri Lankan people shout slogans as they parade during a protest in Colombo. 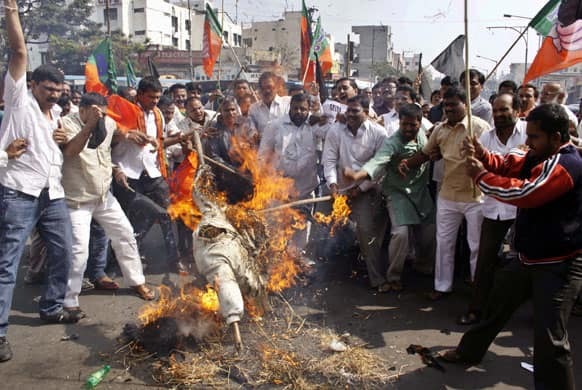 Activists of the opposition party of Indian Bharatiya Janata Party (BJP) shout slogans and burn an effigy of Majlis-e-Ittehadul Muslimeen (MIM) leader Akbaruddin Owaisi during a protest against his alleged hate speech in Hyderabad.